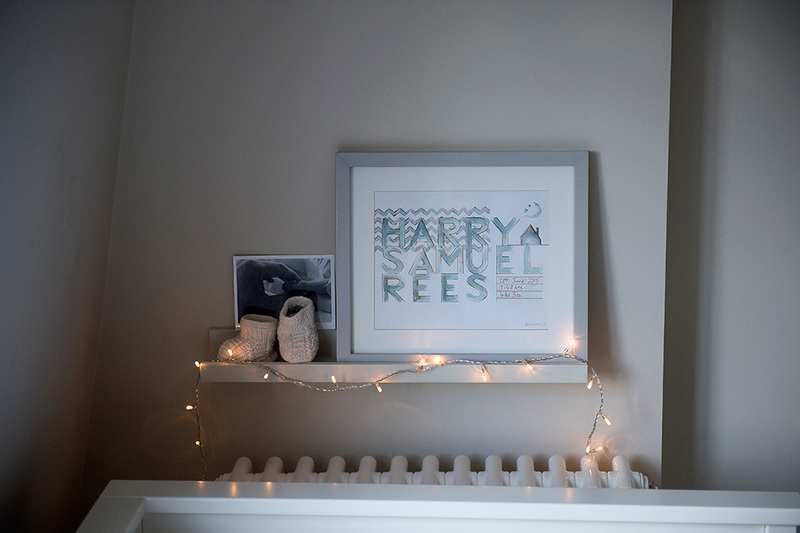 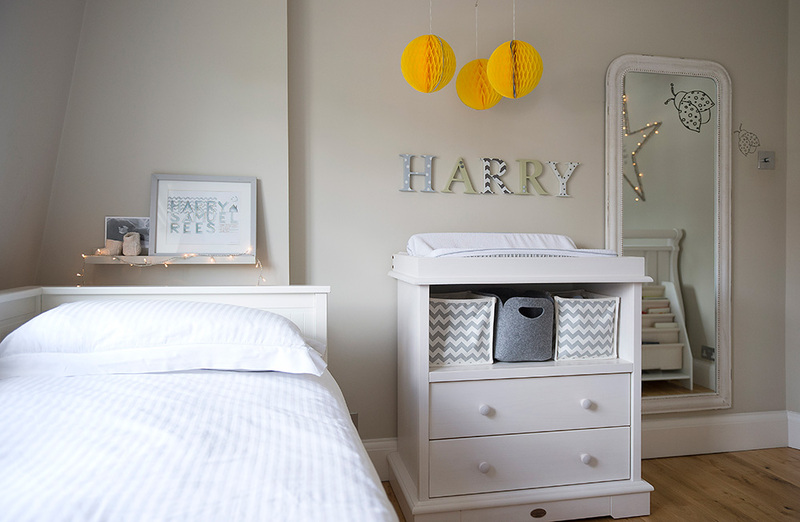 When designing my own son’s nursey, I wanted to create a calm, healthy and easy-to-use interior that reflected Harry’s sunny nature. 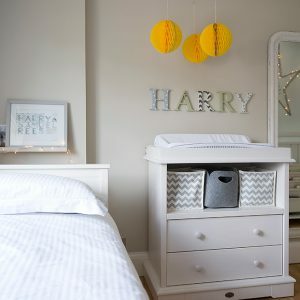 Being born prematurely Harry’s bedroom was not decorated before his arrival which was not as big an issue as most new parents might think as Harry was sleeping in our room for the first six months, giving us plenty of time to think about how we wanted to use the space, design storage solutions and to see his little personality grow. 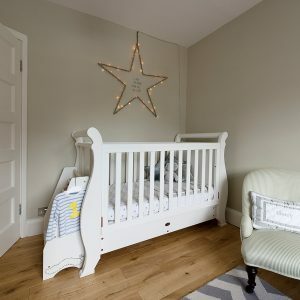 As a second child, we wanted an interior that was modern and fresh, our older son Jack had a classic Ralph Lauren styled bedroom with a gorgeous wide blue and white stripe wallpaper, teamed with red accents such as a personalized hand-loomed Johnathan Adler cushion and classically furnished with a statement Eames rocking chair. 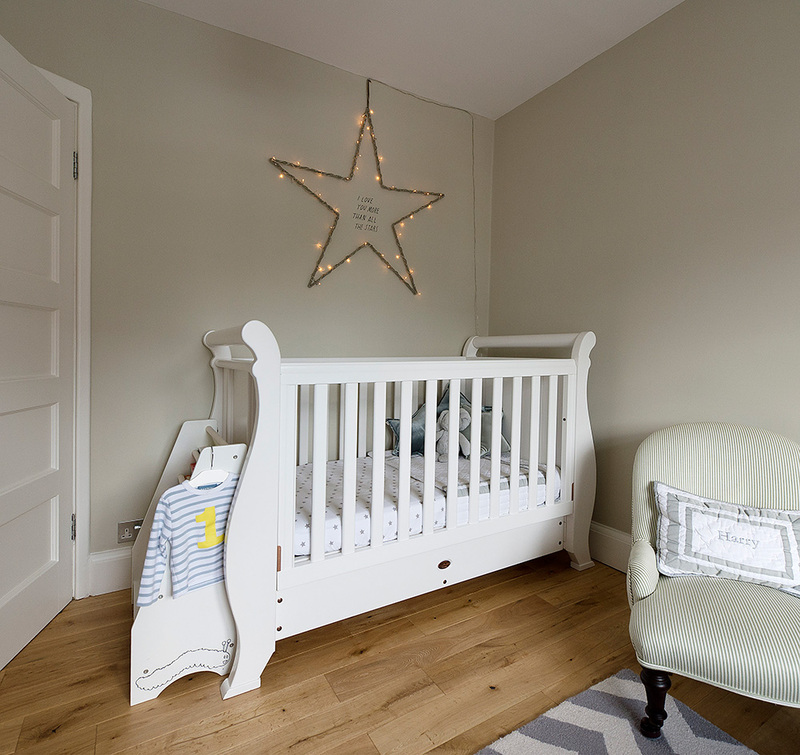 with muted calm grey walls and a modern zig-zag patterned floor rug and a flexible storage system. 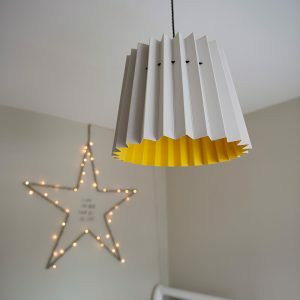 I fell in love with the simple design of the paper Twin Tone lamp shade from Lane by Post for the central light feature. 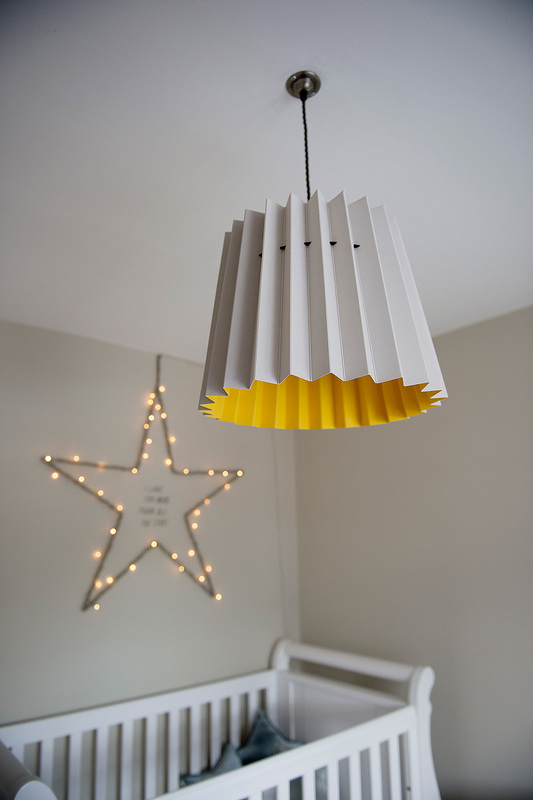 The warm Mr. David Yellow colour from Little Greene was perfect for the room and is produced in a child friendly and eco paint, ticking all the boxes that a parent would want for their child’s bedroom decoration. 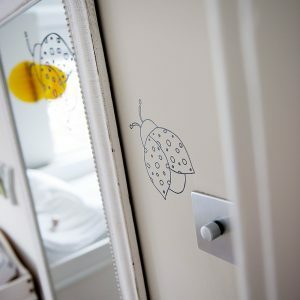 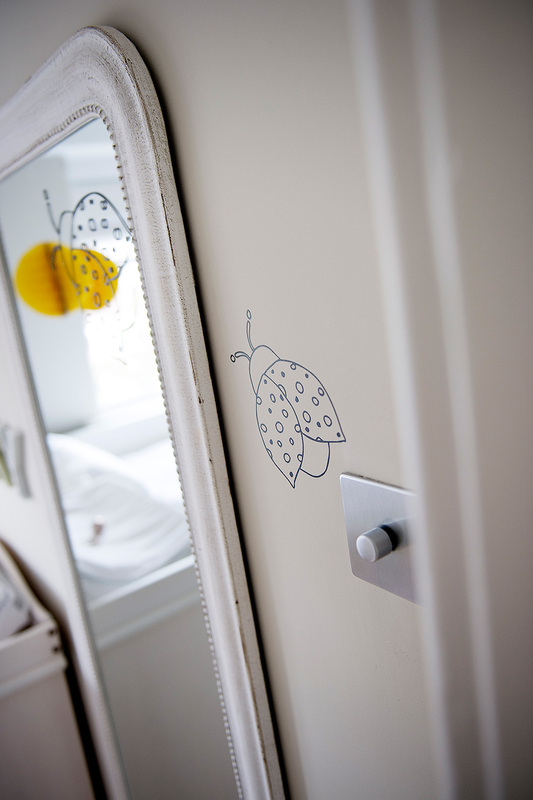 As I had just recently completed an interior design for a commercial nursery I had commissioned hand drawn mini-bug wall decals which I allowed to crawl and fly the walls and mirrors. 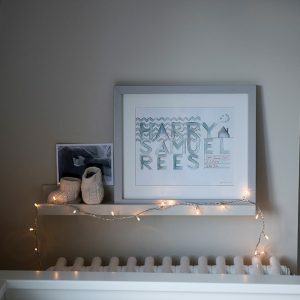 A bespoke honey comb paper mobile I made was hung over Harry’s changing table giving him something playful to look at along with an abundance of fairy lights to create a magical glow for bedtime reading, this room will grow and develop with Harrys imagination and evolve with his personality.